MEXICO CITY, Nov 4 2015 (IPS) - Open data policies in Latin America have not yet enabled communities to exercise their right to access to information, consultation and participation with regard to mining or infrastructure projects that affect their surroundings and way of life. These rights are contained in the Rio Declaration on Environment and Development adopted at the 1992 Earth Summit in Rio de Janeiro. Principle 10 of the Rio Declaration states that “each individual shall have appropriate access to information concerning the environment that is held by public authorities, including information on hazardous materials and activities in their communities, and the opportunity to participate in decision-making processes. “In Latin America, the lack of open, timely information is a widespread problem,” said Tomás Severino, director of the Mexican NGO Cultura Ecológica. 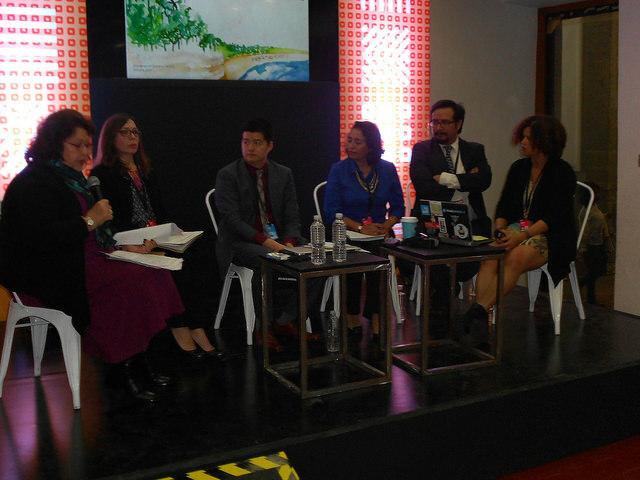 The link between open data and projects that have an influence on local communities and the environment was one of the issues at the Open Government Partnership Global Summit held Oct. 27-29 in Mexico City. Taking part in the summit were representatives of governments and civil society and academics from the 65 countries participating in the Partnership, created in 2011 under the aegis of the United Nations. Of that total, 15 countries are from Latin America. During the summit’s forums and workshops, the delegates of organised civil society called for a strengthening of open data policies and faster progress towards compliance with Principle 10, which cannot happen unless there is movement towards total information openness. It is common practice in the region for communities to be uninformed about the very existence of mining, oil, energy and other kinds of projects even when carried out in their immediate vicinity, as they are neither previously consulted nor given access to information. Permits and concessions are off their radar. Countries in the region ratified the declaration on the application of Principle 10 of the Rio Declaration, signed during the U.N. Conference on Sustainable Development (Rio+20), held in Rio de Janeiro in June 2012. According to information shared by participants during the open government summit in Mexico, the question of the environment is limited to instructions to disseminate public consultations in the environmental impact assessment process in the Second Plan of Action on open data 2013-2015. Currently, Mexico is collecting proposals to design a third, more ambitious, plan. One of its key focuses is “natural resource governance”, which encompasses climate change, fossil fuels, mining, ecosystems, the right to a healthy environment, and water resources for human consumption. For its part, Peru has been discussing since May a “strategy on openness and reuse of open government data” for the period 2015-2019, which would include environmental questions. In August, Argentina presented the first part of its “second plan for open government 2015–2017”, which also fails to include major environmental considerations. “The problem is severe; it is not enough to just be transparent,” said Carlos Monge, the representative in Peru of the U.S.-based non-governmental Natural Resource Governance Institute. “There is a question of timing. When do citizens need that information? After the fact? “That’s a mistake. We need to think about how to make information available before decisions are reached, as well as information about the impact of those decisions,” he told IPS. Monge complained that since 2014 countries like Bolivia, Colombia, Ecuador and Peru have reformed their legislation to lower environmental standards, with the aim of drawing investment in the mining and oil industries, due to the drop in global demand for raw materials, one of the pillars of their economies. The “Global Atlas of Environmental Justice” lists 480 environmental conflicts in 16 Latin American and Caribbean nations, related to activities like mining, fossil fuels, waste and water management, access to land and infrastructure development. The initiative forms part of the European project “Environmental Justice Organizations, Liabilities and Trade” and is coordinated by the University of Barcelona Institute of Science and Technology and drawn up by experts from 23 universities and environmental justice organisations from 18 countries. The majority of the disputes, the atlas says, are concentrated in Colombia (101), Brazil (64), Ecuador (50), Peru (38), Argentina (37) and Mexico (36). When they are in the dark about infrastructure or mining or oil industry projects in their local surroundings, communities suffer what U.S. Professor Rob Nixon calls “slow violence” from environmental problems arising from the exploitation of natural resources, which generates conflicts and further impoverishes local populations. 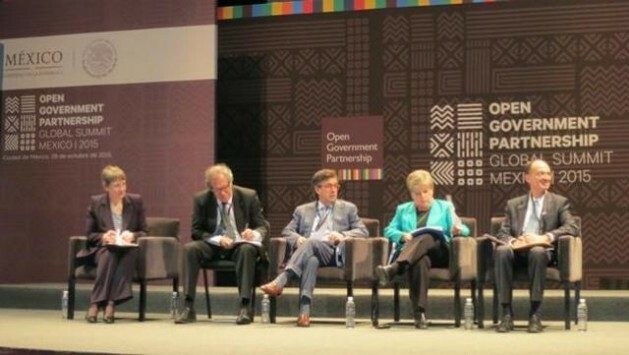 Alicia Bárcena, executive secretary of the Economic Commission for Latin America and the Caribbean (ECLAC), complained during the summit that local communities are not previously informed about extractive industry projects and said the region is not yet ready to meet open data requirements. “It’s important for them to have information on concessions, contracts, impacts, revenue, consultations, so they are aware beforehand of the effects,” she told IPS. The countries of this region agreed in November 2014 on the negotiation of a treaty on Principle 10, in a process facilitated by ECLAC, which is about to open a regional natural resource governance centre. The second round of negotiations took place Oct. 27-29 in Panama, and the third is to be held in April 2016, in Uruguay. Severino, who is taking part in Mexico’s open data initiatives and in the Principle 10 regional negotiating process, stressed the need to modify laws to bring them into line with these schemes. “We need participation and consultation mechanisms,” he said. Monge cited two processes that he said should be given institutional structures. “Zoning and consultation imply the generation of a lot of information. If they want to carry out a project, the information on money, water and territory should be made transparent,” he said. The first refers to zoning of residential, industrial or ecological areas, by the municipal authorities, and the second involves asking local populations whether or not they want a project to go ahead. “Consultation is one of the most effective instruments. Principle 10 addresses it before a project is carried out,” Bárcena said.